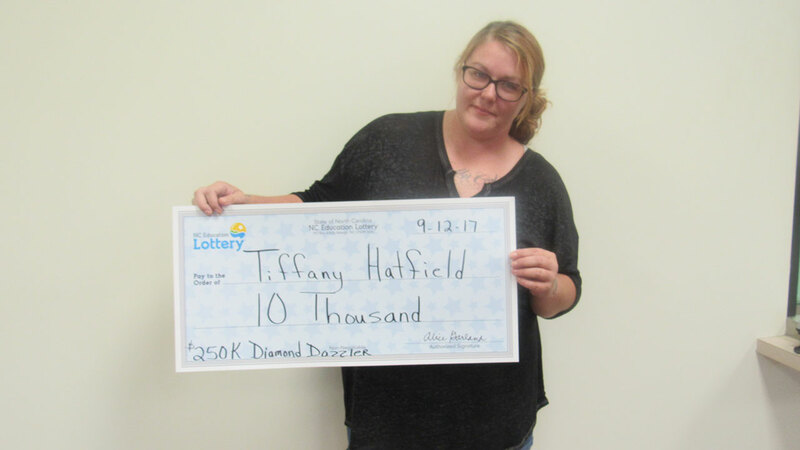 ROCKY MOUNT, North Carolina -- A Florida mother evacuating because of Hurricane Irma won $10,000 after buying a scratch-off ticket in North Carolina! The mother of three - who is from Ocoee, Florida - said she only stopped at the store because her daughter had to use the bathroom. Hatfield said when they realized they had won, they started screaming and felt very happy. Hatfield claimed her prize on Tuesday. She is already on her way back to Florida, and said she plans to use the money for any repairs she needs, and to redecorate the house with any money left over.